Welcome to the Poetry Hour! A chance for you to enjoy some wise and witty words from the wonderful Henry Normal and his special guest poet Pete Ramskill. Henry will be visiting ten Inspire libraries around the county, completely free, as part of Nottingham Poetry Festival running from 20th to 29th April. 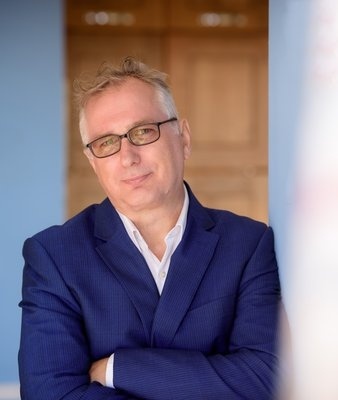 Nottingham-born Henry Normal began his career as a stand-up poet and went on to become a co-writer of award-winning TV and film hits including The Royle Family, The Mrs Merton Show and Coogan’s Run, and producer of Gavin and Stacey, Alan Partridge and the Oscar-nominated film Philomena. He is co-founder of The Nottingham Poetry Festival and a Patron of the Nottingham UNESCO City of Literature. Stick around after the Southwell Library Poetry Hour for Writers’ Live – a regular, community organised open mic session for authors of poetry, prose, scripts etc. Bookings for Writers’ Live, including to book a five-minute slot, is available separately at the library (call 01636 812148). Writers' Live starts at 7.30pm.